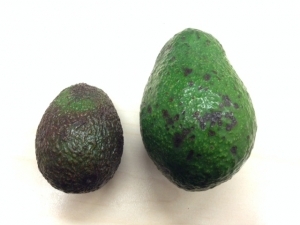 Avocados: there’s a big push ahead of Super Bowl 50 on Feb 5th. It is projected that more than 44 million lbs of avocados will be shipped during this and next week. Many retailers already had increased supplies available for consumers, with promotions favoring bagged avocados. 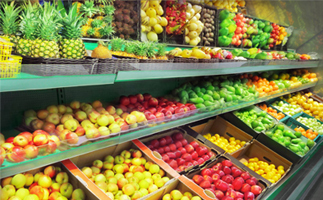 All produce is currently coming from Mexico, and experts note that overall demand leading up to the Super Bowl will be higher than supply, which is expected to push the prices up. Hothouse Tomatoes: there was great availability of all varieties of tomatoes at the local stores. All product is originating from Mexico or the US, and experts note that heavy volumes of tomatoes crossing from Mexico are keeping the markets low as the Eastern US supply begins to decline. Sizes are large, and it is expected that volumes will increase and quality will remain good. Stone Fruit – this is an odd product to be noticing and reporting on for the end of January/beginning of February; there was a noticeable volume of peaches, plums nad nectarines at some of the larger retailers. Experts note that we now have good supplies of Chilean stone fruit, with varieties of sizes and great quality available. Reports are also indicating that shippers are looking for more business and are willing to make aggressive deals to move their product. So, that’s what we saw out at our local retail stores heading into February. Remember, you can always contact our sales team to discuss any of these noted changes to buying patterns, expectations and demand for new crops. We can help you with your operations and shifts in truck capacity!